With Game Update 66: Scars of the Awakened, it’s clear that the EQ2 team are trying to do some new things with quests. I’ve done I guess about 1/2 of the Othmir questline in Cobalt Scar and have had to do some interesting tasks under certain conditions which go way beyond the usual “kill 10 rats” quests. Of course the problem with more complex quests is, there are so many more places where they can break, and I haven’t encountered this many breaks in a single quest in a long time. I’m talking about the quest Gifts from Prexus. If you don’t want the quest spoiled, then skip this article. Niami Denmother has come through with another set of previews on her EQ2Traders site for tomorrow’s Game Update 66: Scars of the Awakened. Here’s a master list of the reading material I have put together for folks regarding the crafting/housing side of things. The Crafting/Housing Preview contains links to all of the other pages mentioned below, but this should help if you want to shortcut to something specific. Game Update 66, Scars of the Awakened, launches on Tuesday, April 30, 2013. In this update players visit the vastly changed Velious land of Cobalt Scar and its dungeon, Siren’s Grotto. Adventurers over level 90 can speak to Joren Kalth in any major city or on the Thurgadin docks in the Great Divide to be sent on their way to Cobalt Scar. Players once again work with Osh, who is trying to save his brethern from a corruption that has twisted their native land. After the othmir problem is addressed, the famed Field Marshal Vishra sends word, and the work to assist the New Combine with their various minor issues begins. Cobalt Scar offers players 45 new quests, four daily missions, and one weekly group mission. Missions will send players who have completed most of the Cobalt Scar quests into Siren’s Grotto, but access to Siren’s Grotto itself has no requirements. The Scar has several contested heroic and epic creatures, which may drop the Obol currency for adventurers who have completed the Chains of Eternity signature quest series. New collections can be found in both new zones. While owning the Chains of Eternity expansion will ease the combat difficulty of GU66, it is not required (the Destiny of Veliousexpansion is required). We recommend that your adventurer at least be equipped in Withered Lands or Skyshrine armor before diving into this update. Game Update 66: Cobalt Scar Crafting Guide at ZAM! EverQuest II’s lastest game update, Scars of the Awakened, is right around the corner with new content for Norrathian crafters! Be sure to take your artisan to Cobalt Scar where Acting Supplymaster Grant could use a hand. Along the way you’ll help the Othmir, save the day at the main camp, and help a mysterious dark elf. Your reward is a nifty set of gloves handed down the Bayle line. Be sure to check out our Cobalt Scar Crafting Series guide and the shopping list so you’re not shy on resources. Level 95 crafters will find that their Apprentices have some new ideas and need new equipment to get the job done. The new researched recipes will use Tier 10 resources and are set up so that while they require more reactants, those reactants aren’t as hard to come by as they are in the level 80 recipes. Tier 10 recipe books are being renamed to be consistent with other tiers. With GU66 all volumes will be available on the usual merchants, although the Advanced ones are quite expensive. It’s important to note that you can still get these recipes adventuring and questing, and you don’t have to buy them from an NPC to obtain them. Game Update 66, Scars of the Awakened, is slated to hit live servers Tuesday April 30. Be sure to log in this weekend and get some of that bonus experience! On Wednesday, April 24, 2013, the Zjeven from Critical Hit podcast interviewed EQ2 Assistant Lead Designer Nathan “Kaitheel” McCall about the upcoming Game Update 66: Scars of the Awakened. Online Gaming Radio‘s website has been struggling a bit, so if you can’t get the Podcast to download from them, I’m mirroring a copy here at EQ2Wire. We’re just a few days away from the launch of EverQuest II’s 66th game update, Scars of the Awakened! Host and EverQuest II Producer Holly “Windstalker” Longdale interviews Akil “Lyndro” Hooper (Creative Director), Nandy “Zoltaroth” Szots (Lead Programmer), and Dave “Maevianiu” Kish (Senior Programmer) to share a few final details about “Scars,” as well as talk about what else the EQ2 team will be working on next! Have a question for the team? Make sure you share it on the EverQuest II forums! It’s only got 2 episodes under its belt, but already, Zjeven, host of the new Critical Hit! podcast has landed an interview with an EQ2 developer — Nathan “Kaitheel” McCall, recently promoted Assistant Lead Designer for EverQuest II. Tune in this Wednesday, April 24th at 9pm EST (6pm PST) for our live show where we will be interviewing Nathan “Kaitheel” McCall about the current state and future of EverQuest II! Have any tough questions that you would like answered? Ask them in the comments below, and we will ask them on the show! Keep in mind that Kaitheel is a zone, quest, lore, and holiday designer, so your questions should reflect that role. We will see you on Wednesday! 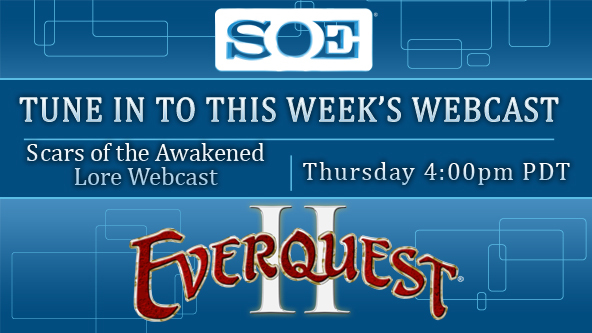 4:00pm — EQ2 Scars of the Awakened and More! 4:30pm — SOE Live Registration Opens! Our first broadcast is at 4 PM! 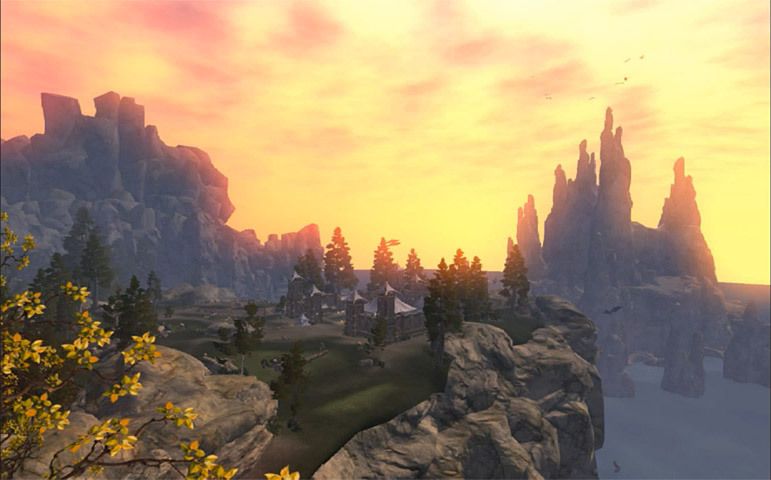 We’re just a few days away from the launch of EverQuest II’s 66th game update, Scars of the Awakened! Host and EverQuest II Producer Holly “Windstalker” Longdale will interview Akil “Lyndro” Hooper (Creative Director), Tim “Haohmaru” Heydelaar (Art Director), and Dave “Maevianiu” Kish (Senior Programmer) to share a few final details about “Scars,” as well as talk about what else the EQ2 team will be working on next! Have a question for the team? Make sure you share it on the EverQuest II forums! Then at 4:30, you’ve been asking us for months and now we’ve got it for you… registration is opening for SOE Live! Brasse will chat with Jen Belfield (Marketing Services Director) and Casey Roberts (Marketing Services and Events Specialist) to give you the details on registration, tournaments, panels, Live Quests, in-game items, the Keynotes, and MORE! Do you have SOE Live questions for the gals? We’ve got a place for you to ask them. Join us on Thursday, April 25, 2013, at 4:00 p.m and 4:30 p.m. US Pacific Time* on Twitch TV! These webcasts are expected to last about 20 minutes each. 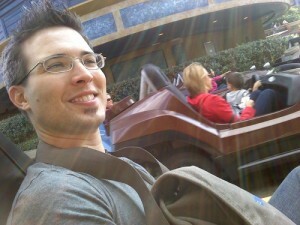 Last week, you got an inside look at Cobalt Scar on a tour with Haohmaru, ttobey, and Kaitheel. 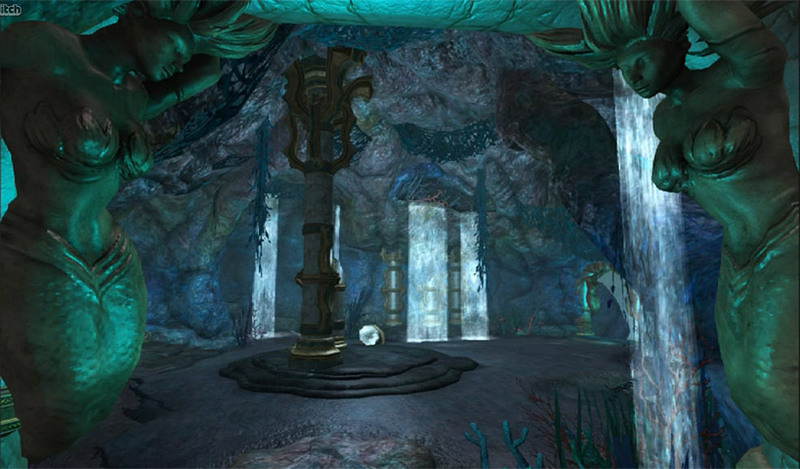 This week, we bring you an early look at the Siren’s Grotto! Join Tim “Haohmaru” Heydelaar, Chris “Chrol” Garlick, and Christopher “Phatkins” Atkins as they take you through this new dungeon, coming with Game Update 66: Scars of the Awakened, which will be released on April 30. Get a look at Cobalt Scar, part of the Scars of the Awakened Game Update! Our talented Development team takes you through a preview of the zone. Check out the stunning visuals explained by those who created them. Scars of the Awakened goes live April 30th! This week the EverQuest II team want share Sirens Grotto with you! Your host Dave “Smokejumper” Georgeson (Director of Development) will be joined by Tim “Haohmaru” Heydelaar (Art Director), Christopher “Phatkins” Atkins (Character Artist), and Chris “Chrol” Garlick (Game Designer) to give you an inside look at these Scars of the Awakened zones! 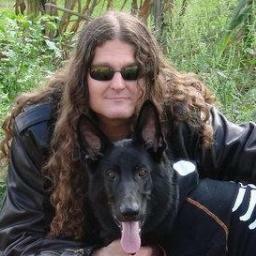 Join us on Thursday, April 11th, 2013, at 5:00 PM US Pacific Time* on Twitch TV! The webcast is expected to last about 20 minutes. Don’t miss this chance to answer the Sirens’ song! On Beta, Protector’s Realm, Shard of Hate, and other Kunark/SF zones are dropping a lot less plat. This has launched a 20 page thread with a lot of rage and arguments. Well, I have just spoken to Kander and there is a lot more to the situation than just nerfing PR and SoH. People should be able to do CURRENT content and get more than enough plat to buy their consumables. People will be able to acquire plat from CURRENT solo, group, or raid zones. Just thought I would drop a few notes in here before everyone starts asking. Q: How can I access the new raid zones? A: The raid content in this update is closed beta. You will not be able to access this content as general population. Q: How can I join the closed beta? A: Feel free to shoot myself or one of the other developers a private message on what sort of raid content you would like to test and what you can offer in terms of times and players/classes. If we feel you are good fit we will extend the invite. Keep in mind not everyone will be accepted. Q: Are the any X2 zones in this update? A: Short answer, no. Long answer, There are two contested X2 encounters out in Cobalt Scar but no full X2 zones. There are 7 main bosses and 2 sub bosses. Yes trash drops loot. The zone buff packages are tougher then normal mode stuff in CoE all the way up to hardest in game for the challenge mode (of which there are 3) We are limiting this to invite only because we do not want folks in there just learning the fights. Instead we will be testing the different aspects of the fights with different guilds to make sure everything is working. We are excited to begin our Open Beta for Game Update 66: Scars of the Awakened today! There are a bunch of new topics opening today in our Beta forum. Each topic will be manned (or womanned) by Dev staff. We are very appreciative of all of the constructive feedback and bug reports we get, so please use our forums or use /feedback or /bug commands from inside the game. To copy your character to Beta, you can log in to a character and type /beta or simply use the Beta Copy button in the Character Select screen. Incidentally, this will copy your character’s houses – which is important – because we’d like you to help us test our new housing market options that allow selling and buying of houses! Each copied character will receive an in-game email with an invitation to Beta that will include a buffer and armor if needed. This was posted over a week ago, but I wanted to post some commentary about the forthcoming ability for house decorators to sell their house layouts on the Marketplace. And since that time, there have been a number of clarifications from EQ2 Programmer Kenneth “Terrogaunt” Roecks which further shed light on what we can expect. These are very exciting times for passionate decorators! On April 2, when we start Open Beta for Game Update 66 “Scars of the Awakened,” we will also be inviting you to test our Player Studio House category that allows you to buy and sell decorated houses of all types, shapes, and sizes in our marketplace! 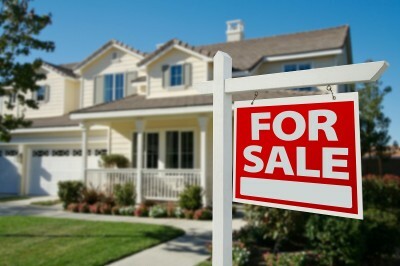 Sellers earn a real portion of the profits! We are working on details right now to make decorating simple to do and test. For example, your new character copies to Beta will include the houses you have on your server so setting up homes to sell should be easy. We are working on a lot of details behind the scenes to get Player Studio Houses ready too, including a new Web page that will allow you to pre-qualify to sell houses through Player Studio (if you’re not already qualified through Player Studio) so you can get ready to sell houses when the category launches. We will let you know as soon as pre-qualifying is live! Our goal right now is to launch Player Studio Houses with our game update on April 30! The Saga of the Swords and the Age’s End Prophecy has captured EverQuest II fans for the last three years, and the Velious saga continues now with Game Update 66: Scars of the Awakened! Your host Dave “SmokeJumper” Georgeson (Director of Development for the EverQuest Franchise), with Kyle “Kander” Vallee (Lead Designer), Nathan “Kaitheel” McCall (Assistant Lead Designer), and Carlos “Gninja” Mora (Game Designer), will recap the story thus far and take a look at what’s to come as Norrathians march together under the banner of the New Combine army. What awaits adventurers in Cobalt Scar and beyond? Join us on Thursday, March 28, 2013, at 4:00 p.m. US Pacific Time on Twitch TV! The webcast is expected to last about 20 minutes. Don’t miss this first preview of Scars of the Awakened! Even the most jaded player must admit that the EQ2 team have spent a lot of time in the last 18 months tweaking and balancing the classes, both in PvP and PvE situations. Every class in EQ2 now has a role to play, and the tools necessary to play that role, even if that role may not be the most engaging or fun to play. We’re requesting focused feedback on the current state of each class. We’re particularly interested in suggestions on how to make the classes more enjoyable, such as improving tedious abilities to be more user-friendly. Balance issues are always a concern, but numbers tend to spotlight those issues, while it’s easy to overlook problems that simply make the classes less fun than they should be. We do read your normal forum feedback, but we have had the most success with feedback during betas and in the testing forum. However, it’s difficult to address existing class issues when the focus is on new additions. The idea here is to put the focus on the classes as they exist on live, including everything from the new Prestige Abilities to the spells and combat arts granted at early levels. We’re going to close this thread at the end of next week, but we’ll do more focus feedback threads if they are successful. The goal is to get some improvements to live with the next game update.